Protecting yourself, your family and your property. We can help find affordable insurance to protect you, your family, and your personal property. If your company is big, medium or small we can create a portfolio that will fit all of your needs. As an independent insurance agent we don’t work for an insurance company we work for you, our client. This means we can find you the best combination of price, coverage and service. For over 45 years, we have been providing affordable and reliable insurance solutions to our friends in Manchester, Glastonbury, South Windsor, Ellington and all of Connecticut. Because we’re an independent insurance agent, we can select the best Connecticut insurance coverage for you from the insurance companies that we represent. At the Independent Insurance Center, we pride ourselves on providing numerous insurance options to find the best coverage and service — and the most competitive rates — to fit your individual needs. We offer a full line of products including automobile insurance, homeowners insurance, business insurance and life & health insurance. As an independent agency we can select the best coverage from many different carriers to better meet the individual needs of our clients. 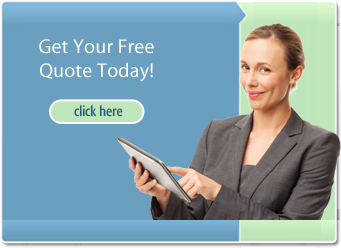 Give us a call or click on the quote form button above to find out more about our insurance solutions. We look forward to hearing from you! If you’re the kind of person who appreciates quality, let’s get to know each other. Click below to request a quote and we’ll reach out to you. We can’t wait to meet you! You’re here because you’re looking for a new insurance policy and don’t know where to start. Begin and end with us! Our agency works with many different insurance companies to ensure that you are being provided the best coverage for the most value. Taking care of your family and all of your personal insurance needs. Big, medium or small we will create a portfolio that fits your needs. © 2018 Independent Insurance Center, Inc. All Rights Reserved.